About Mark: Mark is a full time performance and sports nutrition, triathlon Ironman and open water swim coach. He’s now in his 33rd consecutive triathlon season. Mark has been a competitor of 1,090 events worldwide. He’s completed 485 plus triathlons, 80 marathons, including an incredible 71 events in under three hours, and he has a personal best of 2.24.40. He’s also finished 38 Ironman triathlons, two double Iron distance triathlons (best time 23 hours 51 minutes) and one triple Iron distance triathlon. He’s a multiple ultra-distance racer and multi stage top 10 finisher. He’s also completed the gruelling Marathon Des Sables and is an MdS coach. 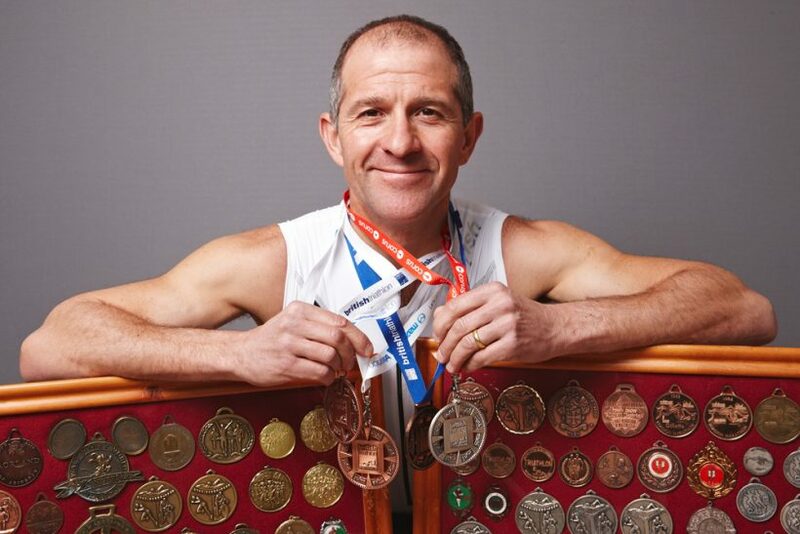 Mark has covered more than 6,850 miles swimming, 180,300 cycling and 54,500 miles running, i.e. 10 times around the earth swimming cycling and running. Finally, Mark can also do 1,000 press ups in 28 minutes, 41 seconds! “I was last in a school cross country race when I was 10. I entered the London marathon aged 20 and have had the endurance bug ever since! I have been swimming cycling running and helping others for more than 30 years. And over a period of 35 years I have competed in at least one Ironman triathlon in 32 different seasons. How many hours do you train every week? “Anything between five and 25 hours a week, swimming cycling and running. And I’ve been cross training since 1981! What do you recommend for this race? “All it takes is being brave enough to be a Braveheart Triathlon finisher. What you’re looking forward to about Braveheart Triathlon? Success at the Braveheart triathlon isn’t about speed, it is about endurance. You need to keep going, and take yourself to the top of Ben Nevis, then back down again! Practise up and down hill running at a pace you believe you can maintain during the Braveheart triathlon. Make sure your nutrition plan is based on the terrain. In other words, eat easily digestible foods on the tougher section and solids on the few sections where it is easier. Run two to three times a week for five to 15 minutes straight after cycling to get use to the rigours of having to complete the run up Ben Nevis. 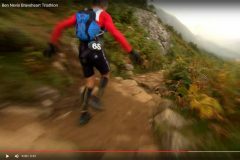 Practise relaxed running downhill in training once every two weeks because the final section is mostly downhill. When you are exhausted you need to be on automatic pilot to avoid getting injured or falling over. Prepare for all seasons by training in all conditions. Bank those tough memories and draw upon them on! Keep an eye on our social media channels Twitter @BenNevisTri, Facebook, Ben Nevis Tri, for Mark’s training schedules and training tips in the run up to Braveheart.